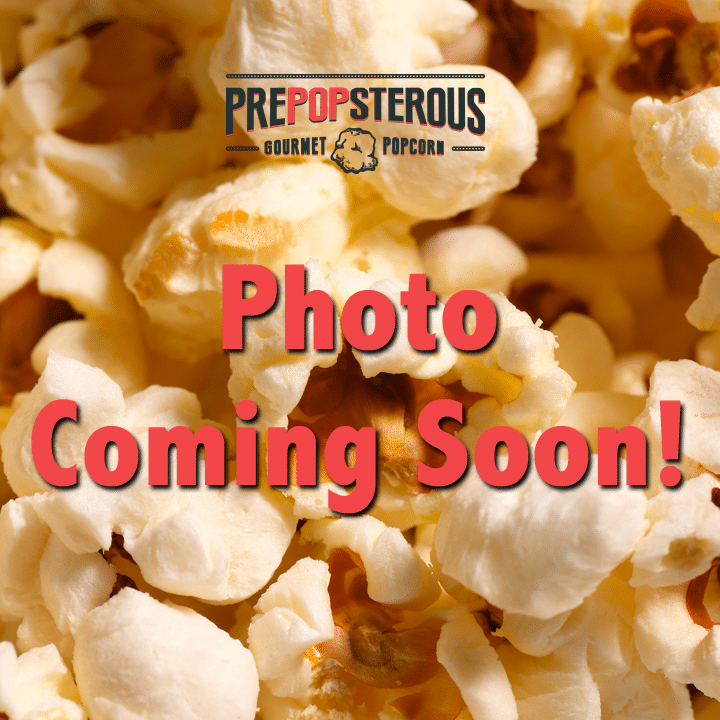 Order Your Delicious PrePOPsterous Popcorn Now! 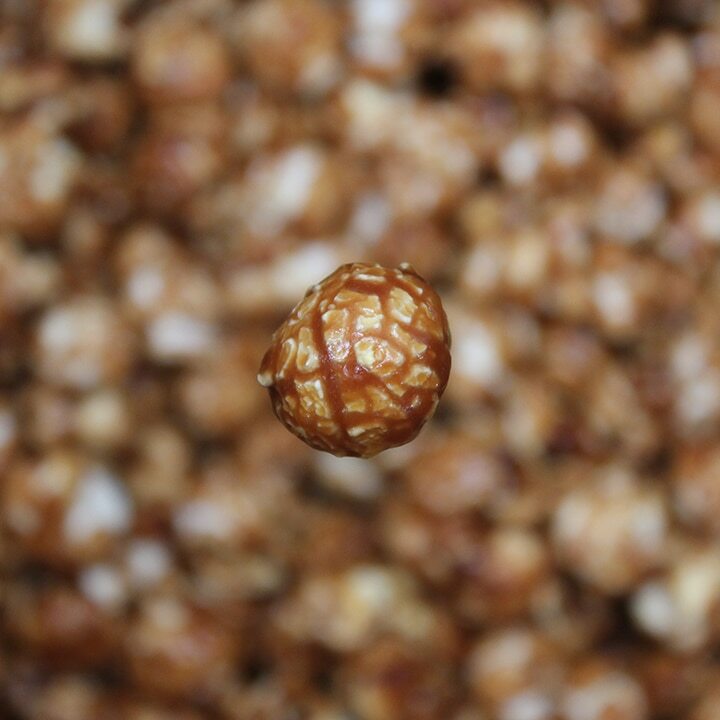 Hands down the best caramel gourmet popcorn around!!! It’s sweet and buttery, and will melt in your mouth. This is always a crowd pleaser. Possibly the healthiest form of chocolate around. This is particularly flavorful when paired with our Absurdly Peppermint or Absurdly Caramel. 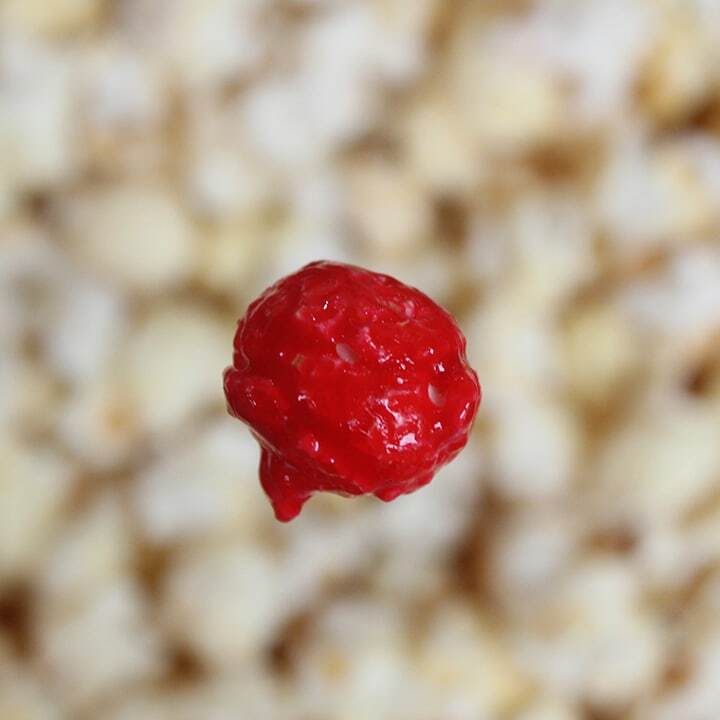 Think cinnamon red hots melted all over a batch of popcorn! That’s not exactly how we make it, but that’s exactly how it tastes. It’s a taste of tropical islands! 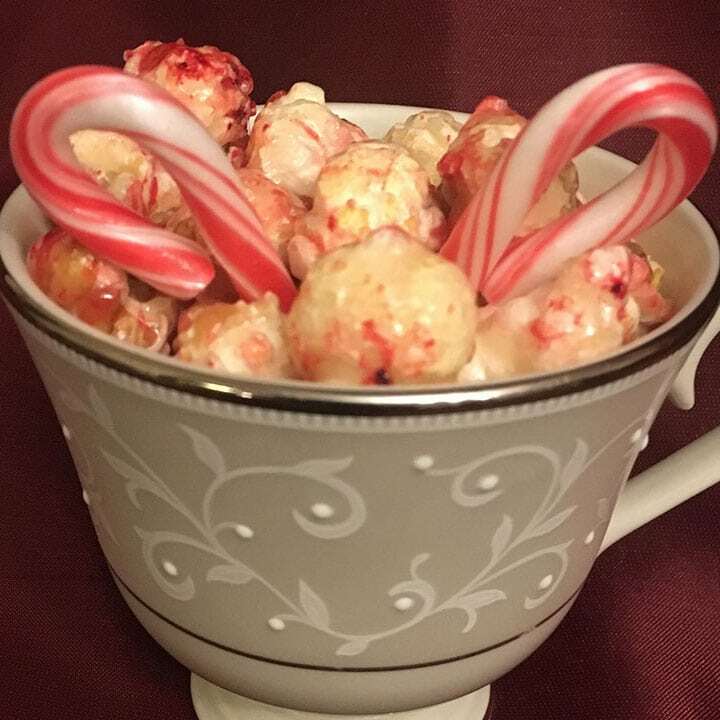 This is the perfect flavor to pair with another one of our signature flavors, and can be made into any color to accommodate the theme of your special event. It’s tasty, it’s yummy, it’s cheesy! It’s reputation precedes itself. Also comes in Cheddar Bay*^, Cheddar Ranch*^ and Cheddar Dill*^. 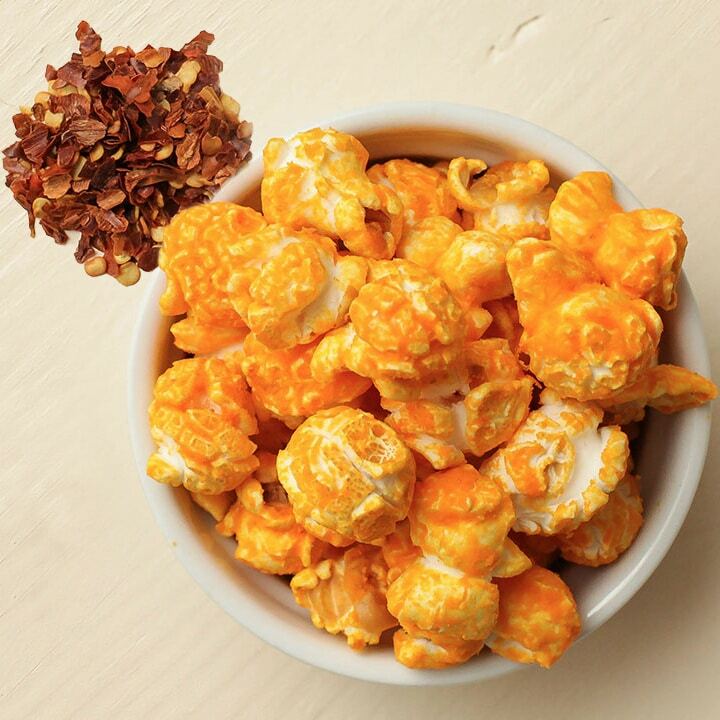 Our white and gold cheddar is seasoned with Sriracha to add a little heat to this savory flavor. 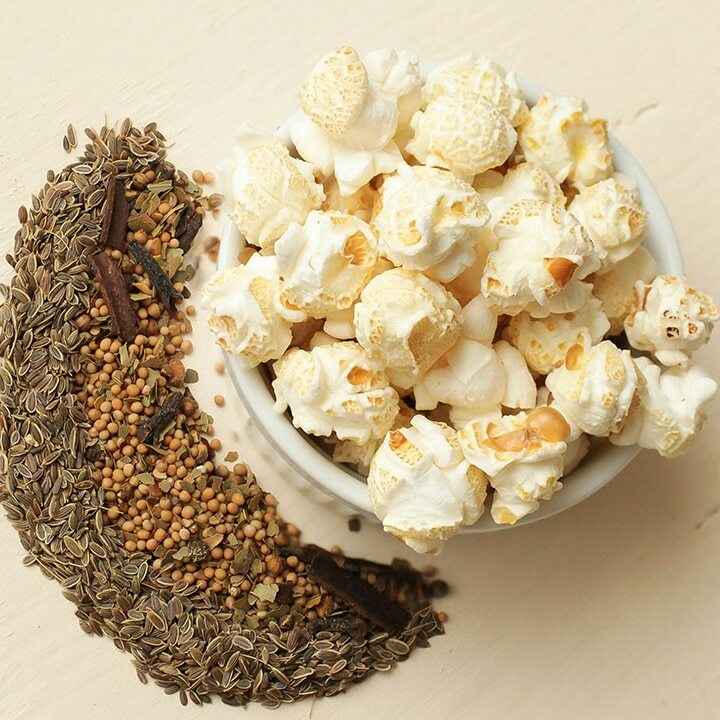 Dill pickle, dill chips…why not dill popcorn? A perfect blend of salty and tangy. Perfect for those with a savory palate. Try this little zinger of a flavor! 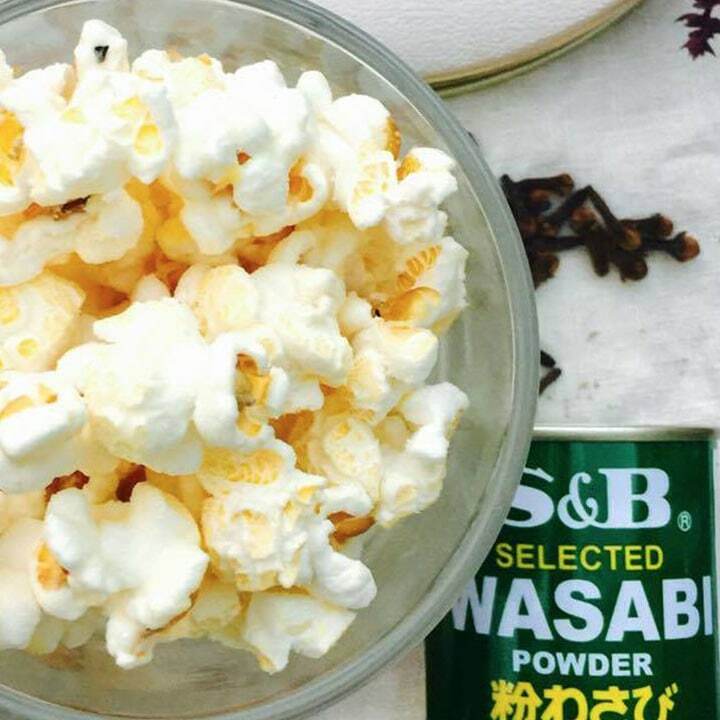 If you like the real thing, you’ll love it on popcorn. 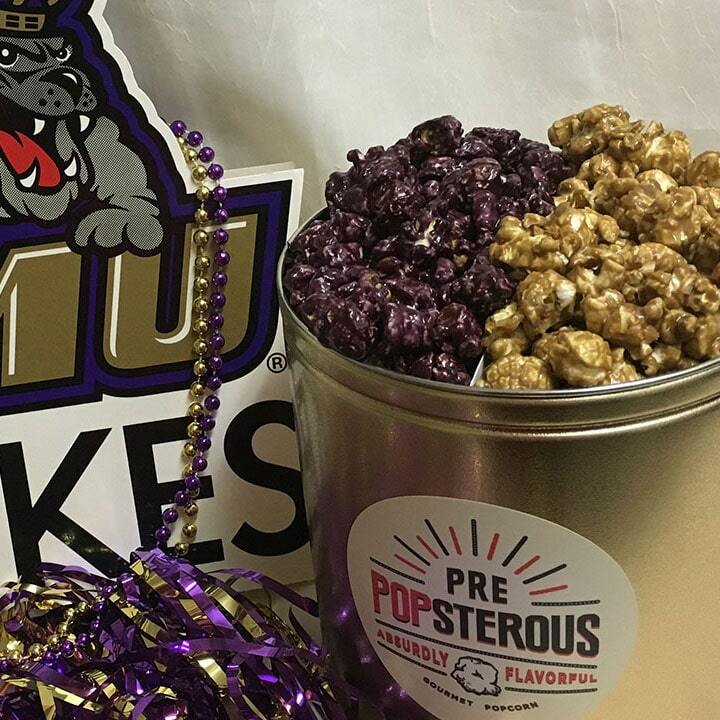 A mix of JMU Purple & Gold (Absurdly Caramel); it can come with or without white cheddar. Can’t decide which flavor to try? 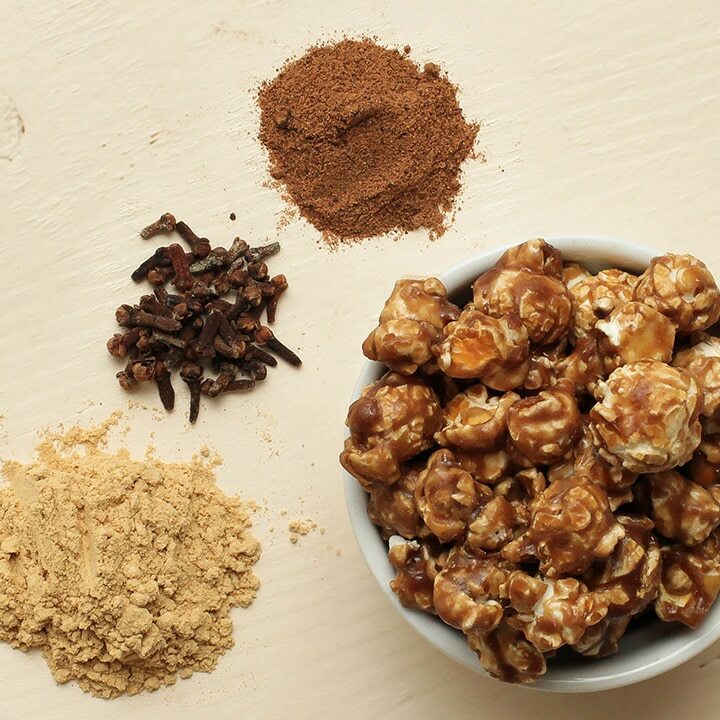 This is a mix of our signature flavors – Absurdly Caramel/Cinnamon/Cheddar. 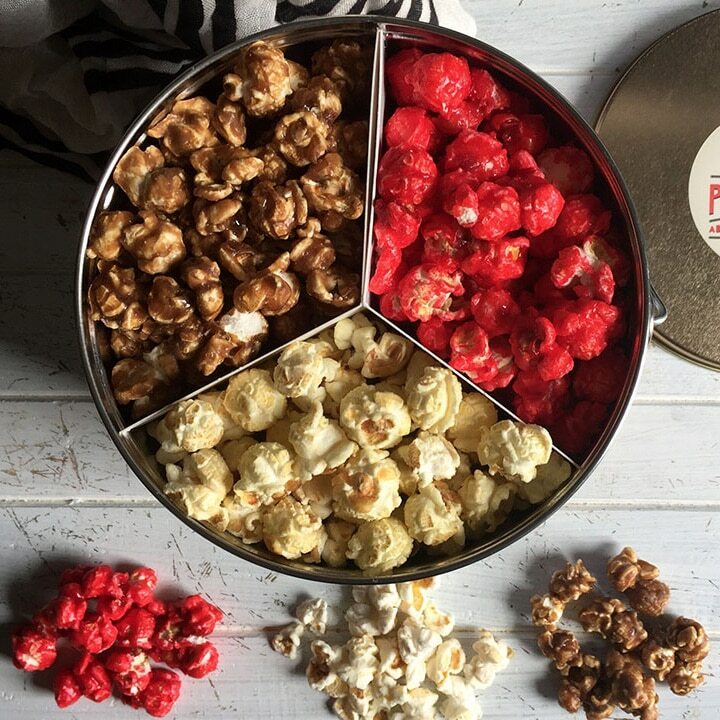 The best of savory and sweet in one mix. 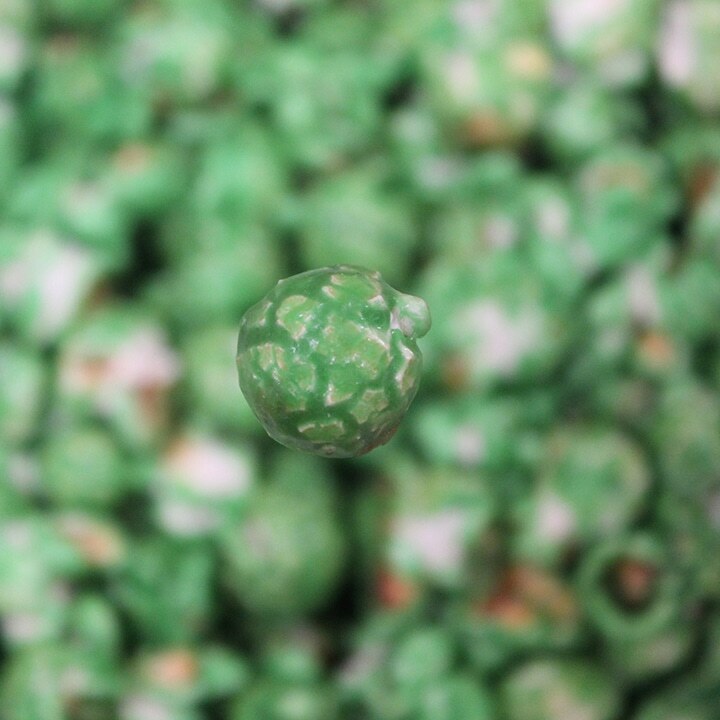 It’s the perfect mix of our Absurdly Chocolate and Peppermint flavors. A little sweet, a little savory. This is a favorite mix from my hometown near Chicago, IL. 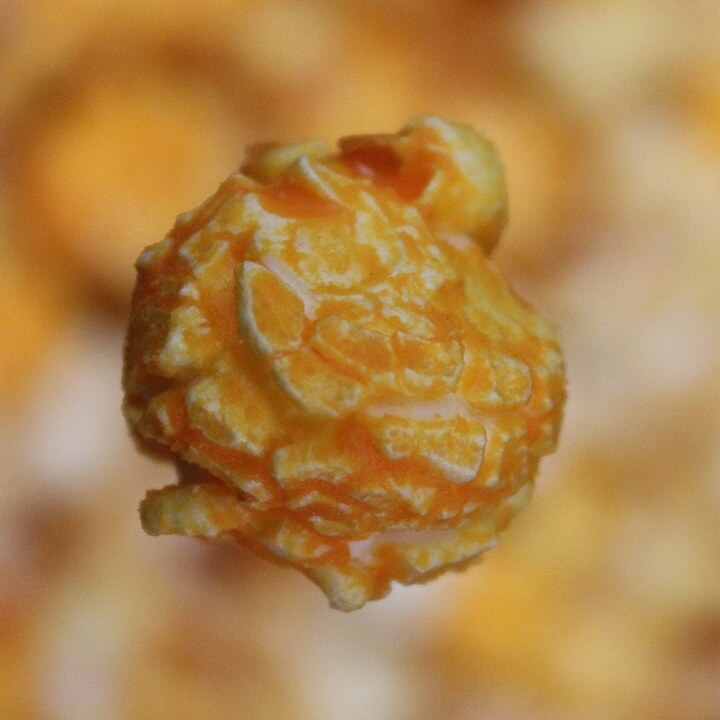 The buttery flavor of our Absurdly Caramel is mixed with our Absurdly Cheddar to delight your tastebuds. Fall in love with fall! Our unique blend of spices achieves the quintessential flavor of the season. Popcorn contains *Soy and ^Milk ingredients.